Leicester City announced that club has agreed with the representatives of Jamie Vardy to extend the England international’s contract with the Premier League champions for a further four years. Vardy has agreed a four-year extension and will be staying with the Premier League champions in a huge boost for manager Claudio Ranieri. Arsenal had triggered the striker’s £21million release clause earlier this month and offered him a lucrative contract, but last season hero for Leicester City FC rejected move to Arsenal and agreed to stay at the King Power Stadium. 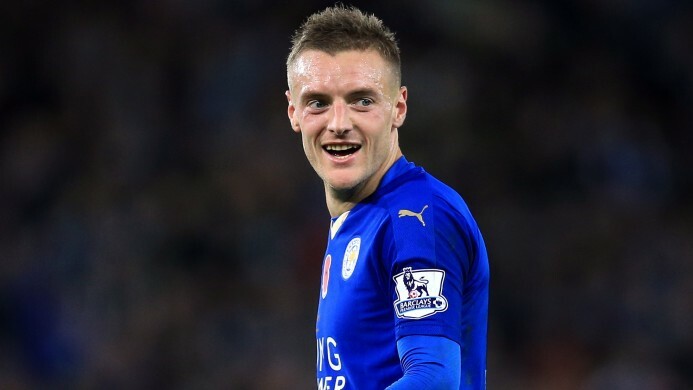 A club statement read: "Leicester City have today agreed with the representatives of Jamie Vardy to extend the England international’s contract with the Premier League champions for a further four years. "Both parties hope that this announcement will end recent speculation regarding Jamie’s future and confirm his long-term commitment to Leicester City Football Club." "Jamie will continue to focus all of his efforts on trying to achieve success with the England team at the European Championships in France."